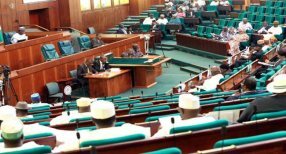 Members of the Peoples Democratic Party (PDP) in the House of Representatives seem to be happy after one of them defected to the All Progressives Congress (APC) from the PDP. Mr. Johnson Agbonayima, who hails from Edo State has explained the reason for his defection. He said PDP is totally factionalised and “A house that is divided against itself will not stand. I decided to leave because I couldn’t face the heat in the dark house. The defection letter was read on the floor of the House by the Speaker, Yakubu Dogara, after which the other party members hailed his defection. But the Peoples Democratic Party (PDP) in Edo state condemned his defection describing it as illegal. This was contained in a statement issued on Thursday by the spokesman for the Edo State chapter of the party, Chris Nehikhare, shortly after the lawmaker announced his exit from the party. Reacting to Agbonayima’s defection to the All Progressives Congress (APC), the PDP said although he has the right to join any political association of his choice, due process must be followed. “Honourable E.J. Agbonayima, like all Nigerians, is free to associate with any political association of his choice. He voluntarily joined PDP and he is free to move to any party of his choice. “However, Edo PDP frowns at his decision not to resign his membership of the House of Representatives before moving to his new political abode – he was elected under the platform of PDP and as such, the mandate is ours,” Nehikhare said. To prove his point further, the PDP spokesman recalled that a lawmaker had argued that he decided to leave the Labour Party for the defunct Action Congress of Nigeria (CAN) given the internal crisis, division and factionalisation within his party. He said the court had, however, ruled that since he could not prove the said division within the Labour Party, he was not entitled to keep or retain his seat after he decamped to the ACN. “You will agree with me that PDP has no division or faction. Consequently, Honourable E.J. Agbonayima’s seat should be declared vacant,” Nehikhare said.